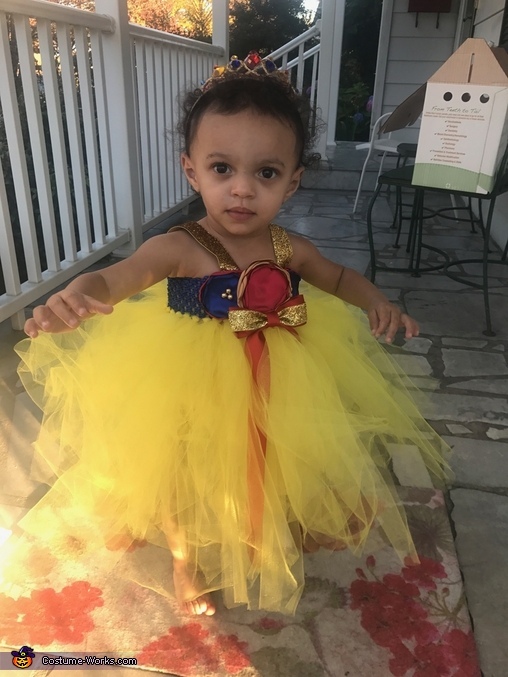 My daughter is wearing a Snow White costume. We bought each item off of Etsy. Because she's only 18 months, i would have spent all Halloween chasing her around, so we bought the princess carriage to go with the costume and flowers parade her around.